Sugar Free, a leading brand for sugar substitutes, has rolled out its new brand campaign for Sugar Free Natura featuring brand ambassador Parineeti Chopra and actor Abhay Deol. The brand has been innovating and creating variants for their consumers who are health and calorie conscious, yet have a sweet tooth. 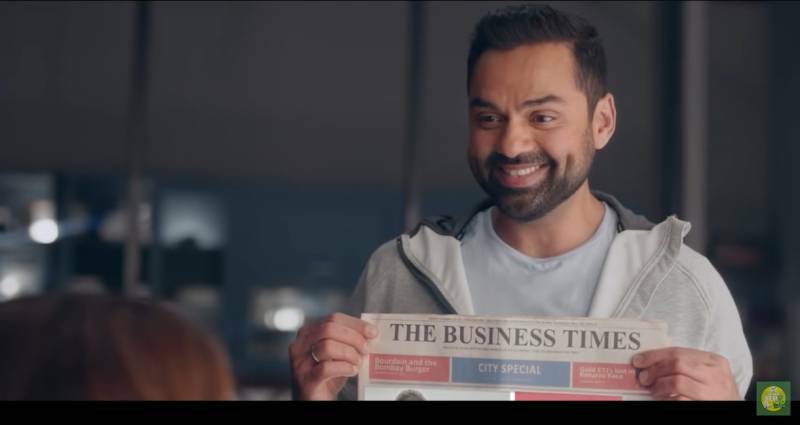 The Sugar Free film depicts the story of a young, health-conscious couple portrayed by Parineeti Chopra and Abhay Deol, who strongly believe that their busy, urban lifestyles must be balanced equally with a fitness goal. And, much of this goal is dependent on making healthy choices, especially when it comes to sugar intake in their daily cups of tea. The TVC opens with Parineeti working on her laptop. She gets interrupted by Abhay who shows her the newspaper with her photo and ‘Young Achiever of the Year’ written on the front page. She hugs him and thanks him for his constant support and says that she would not have been able to achieve this without him. The next scene shows Abhay about to be putting sugar into his cup of tea when Parineeti interrupts him by saying “Waise, Tumhaare six pack vale dream ko mera support bhi toh lagega” and puts Sugar Free Natura in both their cups. The film ends with the tagline: ‘Smartness waali Sweetness’. The strategy for the campaign was to increase relevance for Sugar Free around the most relevant consumption occasion of tea time. And execute it while bringing alive the support, love and care that a couple has for each other. In today’s fast paced life, all efforts to keeping fit may get offset with the relatively high consumption of sugar – most of which, we do not even realize. Therefore, one small yet significant change is to replace sugar with Sugar Free in one’s everyday tea – to keep all of the sweetness; yet none of the calories. Dingankar further said that with Sugar Free being a dominant category leader in the sugar substitute space, the endeavour for the brand has always been to build relevance and grow the category. The focus on distribution for Sugar Free is pan-India, as sedentary lifestyle and obesity have become issues that cut across socio-economic, gender, and geographical barriers today. He also informed that along with the new campaign, the entire range of Sugar Free has undergone a transition. “There is better synergy and harmony in the new packaging across the Sugar Free sub-brands. It has also become much more contemporary and modern,” Dingankar added.